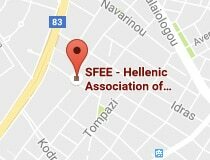 Athens, 3 July 2017 – For a fourth year in a row, SFEE welcomed more than 80 young university and postgraduate students and graduates in the fields of Pharmacy, Medicine, Economics, Science to its regular Business Day event, in which leading executives from the pharmaceutical industry outlined the trends and prospects of the pharmaceutical industry and the entrepreneurship and employment opportunities it offers, as well as the skills required for a successful career in the industry. The SFEE Business Day was held on Thursday, 29 June 2017, at the GlaxoSmithKline (GSK) auditorium, as part of the Business Days programme organised by Professor Iordanis Ladopoulos, Athens University of Economics and Business Mr Roberto Greco, GSK Vice-President and CEO, addressed the students and wished them all the best for their career. The SFEE Business Day highlighted the huge growth potential of the healthcare sector, the ways in which it can contribute to the growth of the Greek economy, as well as the training and employment opportunities it offers to talented and high-skilled youth in the form of placements in paid specialisation programmes within an excellent work environment. Furthermore, the distinguished speakers of this year’s Business Day explained the modus operandi and philosophy of major companies in the industry and the business models that are gaining ground, inviting young graduates from various educational backgrounds to consider the challenges internationally in the global healthcare sector, while also offering them practical advice for a successful career. Mr. Olympios Papadimitriou, Vice-President of SFEE and General Manager of Novo Nordisk, stressed that “The SFEE Business Day has been successfully held for the fourth consecutive year, attracting great interest – importantly – from both SFEE member companies and students who come here to know about an industry that constantly invests in research and development, an industry that strives for and encourages innovation, talent and thinking in over 31 different specialties, with the sole aim of meeting the hopes for a better life for all people without discrimination. Our investment in the country’s highly qualified human resources is also confirmed by recent data indicating that the industry, although hard hit by eight years of crisis, is among the top ten in the Greek economy in terms of job creation. This is why our effort, through the workshop of the SFEE Business Day workshop which has been established as a regular event, aims to bring together the industry and young students for a fruitful exchange and highlight the internship, career and entrepreneurship opportunities in the industry. I would like to thank Professor I. Ladopoulos for his invaluable contribution to this creative effort”. Mr. Makis Papataxiarchis, President of the PhRMA Innovation Forum (PIF) and Managing Director of Janssen, noted that young people with high ethical standards, commitment and skills are drivers of change and are a unique asset for the country and that with hard work and continuous self-improvement they will be able to achieve all their goals. The event featured speeches by top executives and high-level staff from SFEE member companies, specifically: Mr Konstantinos Ioannidis, Advisor to Management, Elpen; Mr Panagiotis Andreou, Head of Sales, General Medicines Sanofi; Mr Makis Grigoriadis, HR Manager, Servier; Mr Manolis Mitakis, Head of Public Affairs & Communications Boehringer Ingelheim; Mr Sotiris Botozis, Commercial Director, Astellas; Mr Christos Christidis, HR Manager, Vianex/Vian; Ms Sonia Mousavere, Head of Communications, PGA Bayer; Ms Venia Gegiou, HR Director, Janssen; Ms Jenny Tsimikli, HR Country Head, GSK; Mr Olympios Papadimitriou, General Manager, Novo Nordisk; Mr Makis Papataxiarchis, Managing Director, Janssen; Ms Elena Houliara, President & Managing Director, AstraZeneca; and Mr Iordanis Ladopoulos, Professor of Organisation & Management, AUEB. 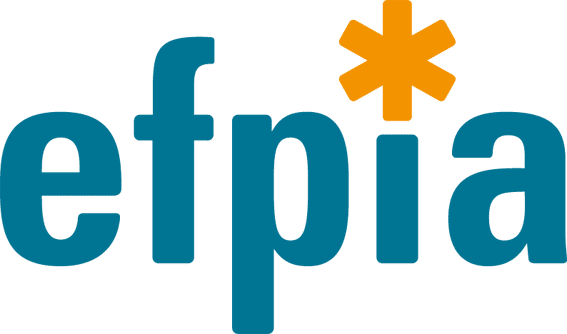 The SFEE Business Day is part of the Association’s Corporate Social Responsibility programme.